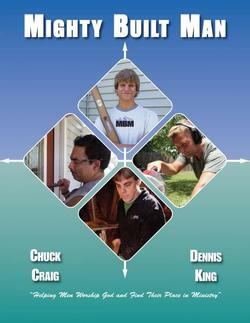 Front Porch Resources is proud to offer a line of books in the Mighty Built Ministries Series. The first book of the series is the SOFTCOVER BOOK entitled "Mighty Built Man." Also available for purchase is the companion WORKBOOK which is used in our workshops. Workbooks are also available at all Mighty Built Man Workshops. Visit www.mightybuiltministries.com for workshop locations.